Houston we have a problem. The vast majority of us are currently completely at odds with our candidates when it comes to how to contact them about job opportunities. 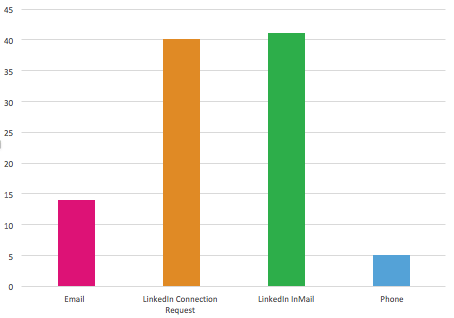 The results are coherent with the fact that most recruiters spend the majority of their time on LinkedIn. 97% use it to search for talent, so it’s not surprising they also use it to reach out to top talent once they’ve found them there. But there’s a problem. While recruiters are ploughing most of their time and effort into finding and contacting candidates on LinkedIn, the professional networking site is actually one of the least popular methods of communication among potential candidates. When Laudale went out to ask over 1,000 full and part-time workers what their preferred way of being contacted by a recruiter is, an overwhelming majority (79%) said they would prefer to be contacted by email. 39% preferred to be contacted by phone, whereas just 20% of workers said they preferred being contacted by recruiters through LinkedIn – meaning LinkedIn is a whopping 60% less popular than email, and 20% less popular among candidates than a phone call. “Well, let’s just start contacting candidates by email then!” I hear you say. Well, unfortunately it’s not quite that simple! But if recruiters who use the phone are having far more success when contacting candidates why aren’t more recruiters picking up the receiver and dialling? 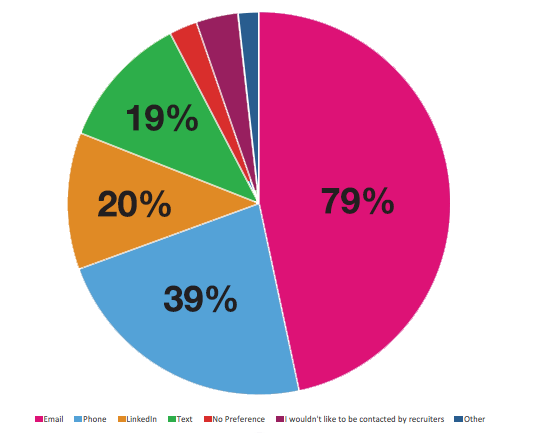 Well, the No.1 reason our respondents cited for not using the phone was that they didn’t have the candidates contact details (41%)… But I’m afraid that excuse isn’t going to cut it any more recruiters. And while we know only a small number of people include their phone numbers on their social and professional networking bios, it doesn’t mean that finding a contact number is completely out of the question. If you know a potential candidate’s full name and the name of the company they’re currently working for, you can find the phone number of where they work very quickly on Google Maps. Think about it – you’re sitting at your desk right now doing your job. So, chances are your potential candidate is doing the very same thing. So, to get them on the phone right now, all you need to do is know the phone number of where they work. 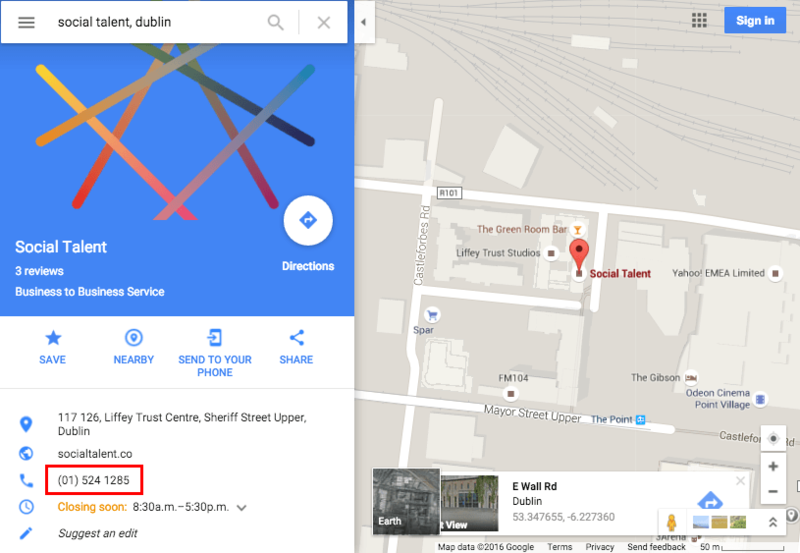 Something which is really easily found on the world’s largest business directory: Google Maps. You can do this with any organisation no matter where you are and the best thing is, the number listed is usually better than the phone number stated on the company’s website – a number which usually goes to a call centre and isn’t actually answered at that particular location. So, now there really is no excuse for not knowing someone’s contact details! Now that you have their phone number, it’s time to pick up that dial and call your candidate. And to help you conquer your phone demons and start successfully engaging passive candidates over the phone, we’ve decided to treat you guys to an entire episode of our Black Belt in Internet Recruitment online training programme for FREE. Yep, you heard us, free, gratis and for nothing! We’re giving you Access All Areas to the “Using the Phone” episode of our “Engaging Talent” module, where you’ll learn how to tackle the dreaded “Gatekeeper”, how to determine and stick to your objective during the call and how to close the call effectively so that your response rates rise dramatically. Download the 2016 Global Recruiting Survey here now for free. 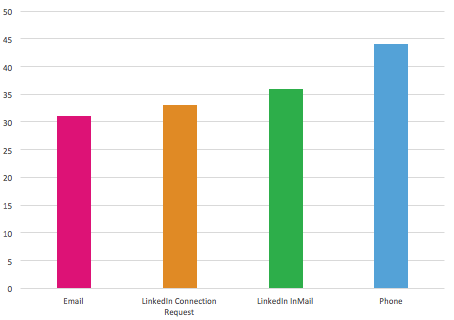 The top 10 recruitment agencies in the UK represented on LinkedIn are as follows... Is your agency on the list? If not, why? Are your staff not optimising their potential and using the business-oriented social networking site? HR peeps! Are you using your time wisely? Do you get what you need to do in a day, done? If not, you too could have fallen victim to biggest HR productivity killers. LinkedIn's new feature, Talent Pipeline, is expected to be rolled out in the first half of 2012 and will come at no extra charge to those already signed up to LinkedIn Recruiter. Talent Pipeline will allow recruiters keep track of all of their potential candidates in one place, before they enter the formal application process.